We often hear that technology is value-neutral. The argument goes that the new technologies and communication tools can be used for good and for evil. I actually disagree. The communication tools themselves lend themselves to the different forms of social and political arrangements. For example, the invention of the printing press fundamentally changed who had access to learning and how quickly ideas could spread. Its no coincidence that the printing press marks a historical inflection point bringing an end to the Middle Ages and combining with the changing cultural movement of the Renaissance to yield the Enlightenment and the Modern Era. Today's information and communications technologies are having no less dramatic of an effect on our society. From my current location in Bahrain, I am only a short trip across the Persian Gulf from Iran. I have watched from this relatively safe distance as the Iranians used facebook, twitter and other Web 2.0 technologies to organize themselves during the Presidential Campaign. 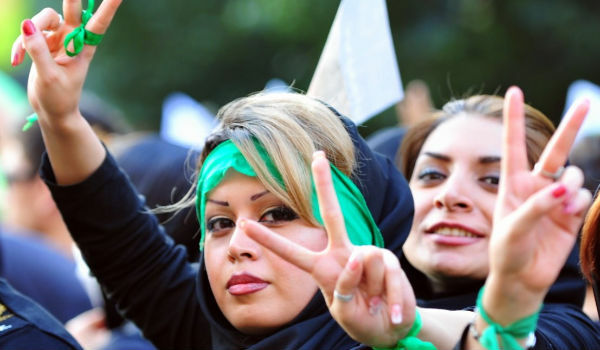 As it became clear that the election results were corrupt, Iranians (primarily younger and more urban) organized themselves through these technologies to hold mass demonstrations to protest. Iran and the Muslim world had not seen such an outbreak of demanding that the government accede to the popular will since the first Iranian Revolution in 1979. Over the last month, we've seen the conservative side of the power elites and their militia groups attacked protesters beating and indeed killing those who would raise their voice in protest. Such violence has altered the tactics of the opposition from mass protests to quick, creative and impactful actions organized using the same social network technologies that were employed in the presidential campaign. For example, quick protests lasting 5-10 minutes are organized ahead of time online and dispersed before police and militia can arrive. The opposition movement is now heading into a period of more muted opposition. Nonetheless, the movement can sustain itself by continuing to be connected through social networking technologies. Online meetings will take place to avoid notice and violence. Creative protests can be devised and disseminated. The distributed energy of the committed masses can stay one step ahead of a centralized government. With sustained activity, Iran could one day be the Muslim democracy that its people want it to be. Dictatorships the world over must be look at Iran with worry. Countries lead by dictators are having a tougher and tougher time controlling their populations. These difficulties arise because social networking technology lends itself to decentralization, to the easy formation of action networks based on shared interests, and shared leadership. The technology is not value neutral, its empowering the next wave of democracy and human freedom.